Your First Tattoo – We’ve all seen them. Those tattoos someone got as a teenager that they are still living with well into their 30’s or 40’s. Maybe it’s a lower back tattoo of stars and swirls (circa 2003), or barbwire around their bicep. Tattoos, just like anything, can be trendy. If you are about to get your first tattoo it can be tempting to go with the status quo and do what everyone else seems to be doing. This is a lifetime commitment, though, so here are some tips to making sure it is a commitment you are ready to make. Take your time– Maybe you saw a cool design on Pinterest and you want to replicate it. To avoid regretting a copy-cat tattoo, ask your artist to give you a temporary of the design. Live with it for a day so that you can be sure you want to live with it for a lifetime. Make it Meaningful– Watercolor tattoos are gorgeous and all the rage right now. No judgement on wanting one. However, don’t just pick a random design because you like the idea. When you have a tattoo that means something to you (whether it is a symbol, quote, date, etc) it is much less likely you will hate it 15 years from now. 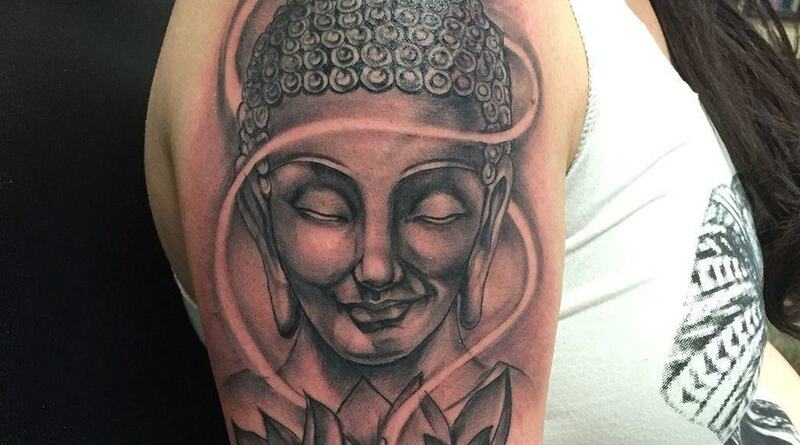 Do Your Research– Don’t pick any random tattoo artist. This is not an investment you want to do price comparison on. A good artist will be more expensive because he/she has more experience, and better technique. Make sure you ask to see portfolios and look up reviews. The last thing you want is your dream of an intricate tattoo coming out looking like a cartoon character. Follow After-Care Instructions– When your artist tells you not to pick at your peeling skin, believe them. They know what they are talking about. The healing process is an important part of the integrity of the tattoo. If you think you’re ready for your first tattoo, and you’ve put a lot of thought into it, contact us, we’d love to help you make a meaningful statement.